Got wrinkles? Crave chocolate? Both are constant issues we all face! 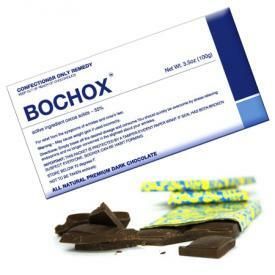 With Bochox you should quickly be overcome by stress-relieving endorphins and no longer concerned in the slightest, about wrinkles. Bochox is made with all natural ingredients and is also kosher! Directions: simply break off the desired dosage and consume.